Prof. Reuven Or, the director of the Center for Stem Cell Transplantation, Research, and Development, completed his fellowship in hematology/oncology at the Hadassah University Medical Center where he specialized in bone marrow transplantation. He continued his post graduate studies in immunology at the University of Colorado in the USA. There he focused on the role of the immune system’s cells and their activation mechanism via intra- cellular signals. In 1991, Prof. Or established a research laboratory at Hadassah medical center to study immune reconstitution following bone marrow transplantation. There he developed new therapy models to be used for improving bone marrow transplantation outcomes. 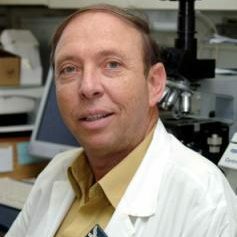 As one of Hadassah University’s senior scientists, Prof. Or continues to conduct research on various clinical topics, including the prevention of liver complications following bone marrow transplantation and immunotherapy using donor derived lymphocytes (immune cells) for the eradication of malignant diseases that would otherwise prove fatal. He was responsible for the creation of a model that detailed a regimen of minimal pre-transplant conditioning for the preparation for stem cell transplantation in order to reduce the therapy related toxicity.